Beelman Dental understands dental issues like broken and missing teeth or tooth decay not only exact a toll on your oral health, but may impact your ability to enjoy food or smile with confidence. We also understand many folks hesitate when it comes time to schedule a dental visit. Dr. Beelman wants to reassure you that we use only the most progressive technology and materials – and that our team will do whatever it takes to make your experience with us as pleasant and relaxed as possible. Thanks to technology and medical advances, fillings have advanced a great deal over the years. Once upon a time, metal amalgam fillings were the standard, but they proved unattractive, unstable, and potentially toxic to the human body due to mercury content. Today’s porcelain tooth-colored fillings are completely safe, accommodate temperature changes easily, are tough enough to withstand regular wear and tear, and are color-matched by Dr. Beelman to blend in seamlessly with your natural teeth. If you still have metal amalgam fillings that need replacement, he can help you with that, too! If you have a tooth that’s badly decayed or broken, it may take a dental crown to restore it to health. Crowns are tooth-shaped caps that fit over any remaining healthy tooth structure to bring the tooth back to full health and function. Most modern crowns are constructed from tooth-colored porcelain that looks, feels, and operates just like the crown on a natural tooth. A new crown protects your tooth and oral health while restoring strength and appeal to your smile. If you have a missing tooth or teeth, a durable porcelain bridge can balance your smile beautifully. 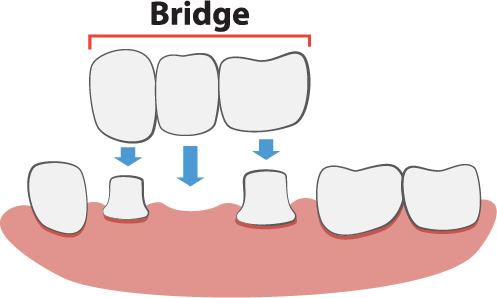 Bridges typically consist of one or more fabricated teeth, anchored to neighboring teeth with crowns on either side. They fit comfortably and allow easy eating, smiling and laughing. If you’re missing most or all your natural teeth or are tolerating ill-fitting dentures that get in the way of living your best life, Beelman Dental would love to help. 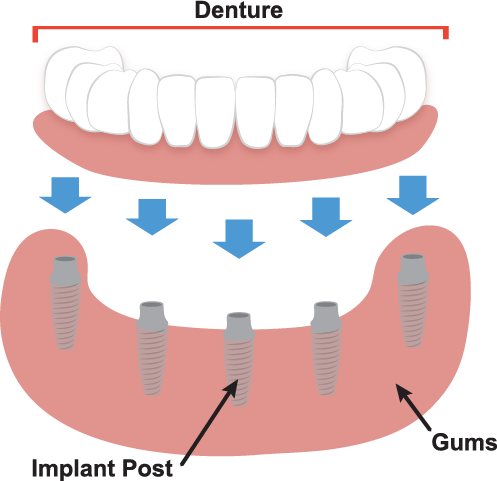 There are plenty of options available for both partials and complete dentures to suit your individual needs. Our dentures are built from the most durable ceramic and acrylic materials on the market that duplicate natural teeth in structure and purpose. If you experience symptoms like pain or swelling, you may have an infection in your tooth and need a root canal. 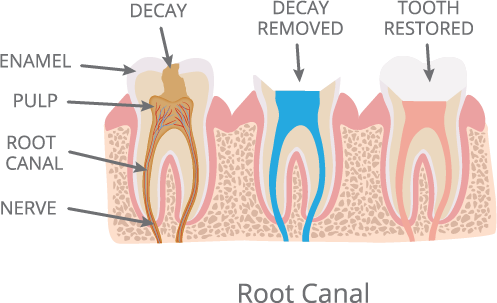 The words “root canal” are shorthand for something you would do just about anything to avoid, but in truth, root canals have evolved into a routine dental procedure comparable to having a cavity filled. Dr. Beelman makes a small access hole in the tooth, through which he carefully removes the infection. He then sterilizes and fills the chamber to halt further infection, finishing the process with a crown that bring the tooth back to full health and function. If you have any questions about restorative dentistry or would like to schedule an appointment with your Bedford restorative dentist, Dr. Beelman at Beelman Dental, give us a call today at (817) 409-3830 or request an appointment online below. We’ll take the time to make you smile!